Delivery time about 7-15 days after receiving 30% deposit. Payment terms: 30%TT in advance,70% balance pay before shipment. 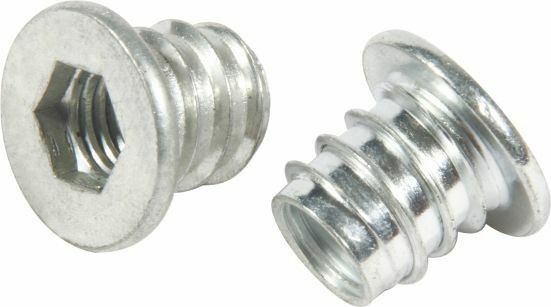 These insert nuts are made from high quantity zinc plated carbon steel for durability and rust protection. Screw-in insert nuts have an external thread and hex socket drive and are screwed in with a hex key wrench. Insert nuts are advantageous over barrel nuts and T-nuts, because they can be installed from one side of the workpiece. 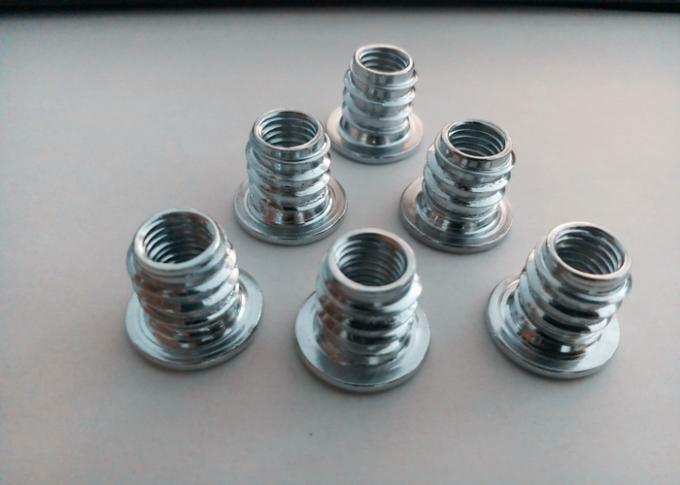 There are screw-in insert nuts in different sizes and take different screw sizes that you can choose for your project. The pre-drilled hole must be as deep as the length of the insert nut plus any portion of the bolt that may be screwed past the end of the nut in the work piece. Insert nuts are mainly used for furnitre , besides , it is also used for other plastic or chipboard items for locking and joints . Clean threads before installation . Far from acid-base surroundings . Do not put over torque on insert nuts . Our company has passed the international quality system authentication of ISO9001. We enjoy a good reputation and sell productions to dozens of countries. Anny will be very happy to answer your questions in 24 hours.